Romania’s commitment to increase its defense budget to the North Atlantic Treaty Organization (NATO) target of 2 percent of GDP has spurred the government to approve a $1 billion purchase of American-made M142 HIMARS (High Mobility Artillery Rocket System). Defence Minister Mihai Fifor told Jane’s that the HIMARS system would “improve Romania’s national and allied defense capability” and emphasized that Romania’s commitment to the 2 percent of GDP target “for the next 10 years is strong”. The Government of Romania has requested the possible sale of fifty-four (54) High Mobility Artillery Rocket Systems (HIMARS) Launchers, eighty-one (81) Guided Multiple Launch Rocket Systems (GMLRS) M31A1 Unitary, eighty-one (81) Guided Multiple Launch Rocket Systems (GMLRS) M30A1 Alternative Warhead, and fifty-four (54) Army Tactical Missile Systems (ATACMS) M57 Unitary. Also included with this request are: fifty-four (54) M1084A1P2 HIMARS Resupply Vehicles (RSVs) (5 ton, Medium Tactical Cargo Vehicle with Material Handling Equipment), fifty-four (54) M1095 MTV Cargo Trailer with RSV kit, and ten (10) M1089A1P2 FMTV Wreckers (5 Ton Medium Tactical Vehicle Wrecker with Winch), thirty (30) Low Cost Reduced Range (LCRR) practice rockets, support equipment, communications equipment, sensors, spare and repair parts, test sets, batteries, laptop computers, publications and technical data, facility design, training and training equipment, systems integration support, Quality Assurance Teams and a Technical Assistance Fielding Team, U.S. Government and contractor technical, engineering, and logistics support services, and other related elements of logistics and program support. The HIMARS can carry a single six-pack of rockets or one ATACMS (Army Tactical Missile System) missile on the Army’s Family of Medium Tactical Vehicles (FMTV) 5-ton truck, and can launch the entire MLRS family of munitions. It was successfully combat-tested in Operation Iraqi Freedom. 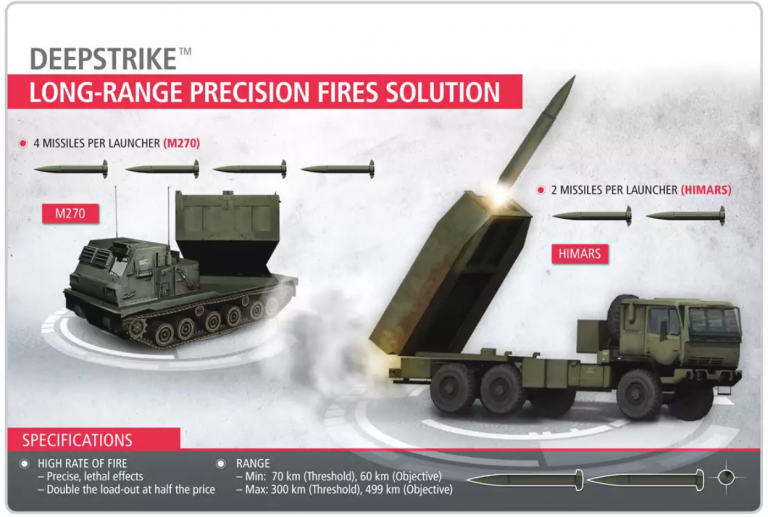 The HIMARS can fire the full range of rockets and can launch the entire Multiple Launch Rocket System Family of Munitions (MFOM) to a maximum range of 40 km, including HE-FRAG (High-Explosive Fragmentation) and cluster. It also fires newly developed extended range guided munitions from a range of 60 to 100 km. 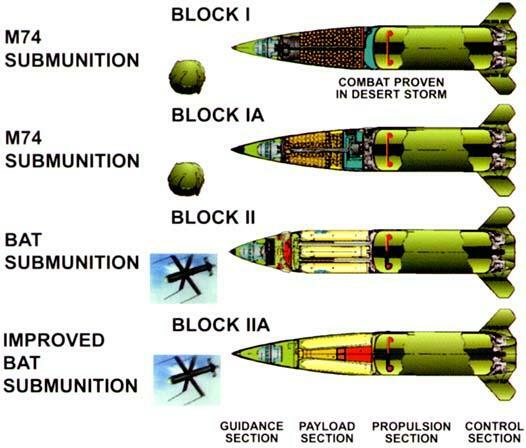 The ATACMS family includes the Block 1, Block 1A and Block 1A Unitary missiles. The block 1 missile delivers 950 anti-personnel anti-material (AP/AM) baseball-sized M74 sub-munitions to ranges exceeding 165 km. The block 1A missile range exceeds 300 km by reducing the sub-munition payload to 300 bomblets and adding GPS guidance. 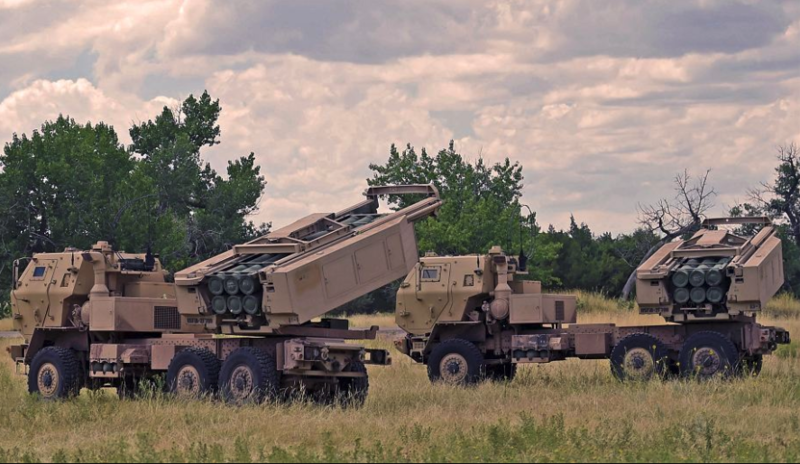 The HIMARS fire control system, electronics and communications units are interchangeable with the existing MLRS M270A1 launcher, and the crew and training are the same. In 2017, President Trump called out NATO allies for not meeting the 2 percent of GDP spending on their defense budgets. He stated that it is not fair for the U.S. taxpayer to be footing the bill for military defense spending for NATO members. “Over the last eight years, the United States spent more on defense than all NATO countries combined. If all NATO members had spent just 2 percent of GDP on defense last year, we would have had another $119 billion for our collective defense,” Trump said. “We should recognize that with these chronic underpayments and growing threats, even 2 percent of GDP is insufficient to close the gaps in modernizing, readiness and the size of forces. We have to make up for the many years lost,” he added. As for Romania, well, it seems like they got the message from the Trump administration to spend money they do not have and buy a billion dollars worth of rocket launchers. 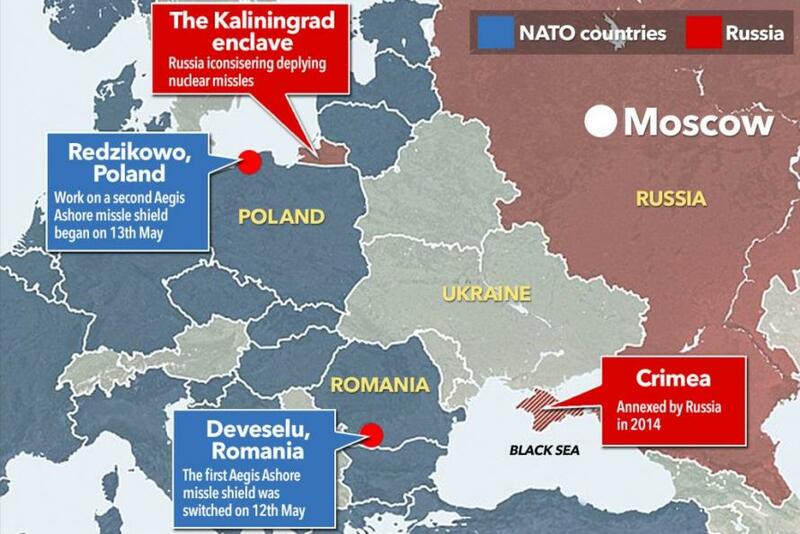 Nevertheless, this could turn out to be a good purchase considering the threat of war with Russia is at levels not seen since the Cold War era as countries in Eastern Europe are rapidly acquiring military-grade weapons for the fear the next world war could be sparked along the Russian border.